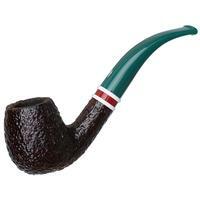 "Clark's Favorite" Billiard by Savinelli is purportedly based on the design most favored by silver screen acting legend Clark Gable. 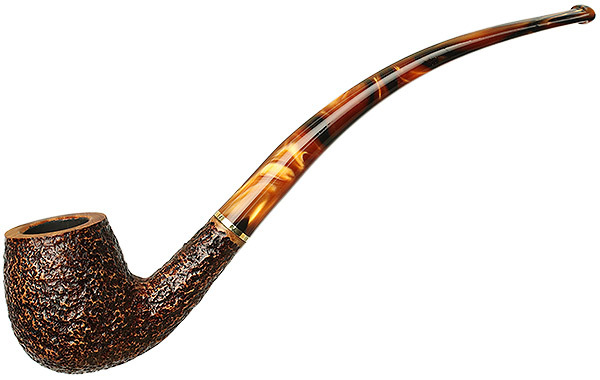 Unsurprisingly, it's a sleek, affable little number with a wild, jazzy looking stem. 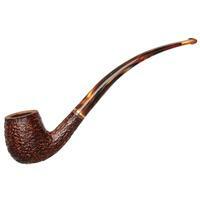 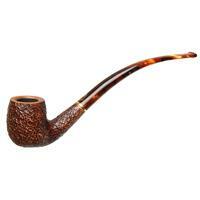 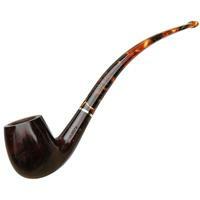 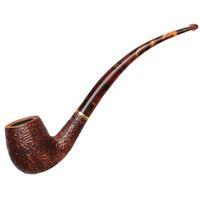 Sure to impress, this piece is stained in a deep brown, rusticated, and adorned with a slim brass band.